George Washington Pearl Necklace with Sterling Silver Charm by M.LaHart & Co. 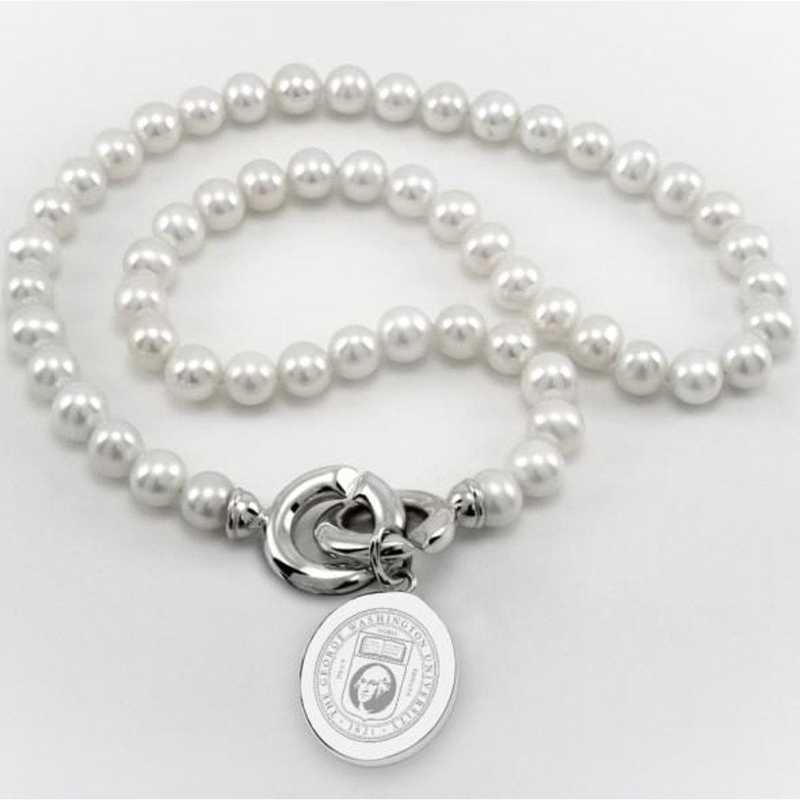 Surprise your favorite college graduate with the perfect graduation gift - George Washington University pearl necklace and sterling silver George Washington charm features the GW seal finely detailed on front and interlocking "C" clasp., Pearl necklace measures 18" long; charm measures: .80" diameter., Freshwater cultured pearls (8mm). Finest grade .925 sterling silver., High-polish, rich luster finish., Attractive M.LaHart signature jewelry pouch and gift box., Combine with pewter trinket box, pearl bracelet, or other women's accessory for a unique gift set for your favorite new graduate or alumna. Officially licensed by George Washington University Manufacturer direct from a trusted supplier. You're reviewing:George Washington Pearl Necklace with Sterling Silver Charm by M.LaHart & Co.